At Schwan’s, we’re committed to providing the best-tasting seafood and using the best fishing practices. That means you can enjoy the great flavor of our delicious seafood items even more. To ensure maximum freshness and flavor, many of our seafood selections are flash frozen within hours of catch and then carefully vacuum sealed. From the sea to your door, we source the best catch from oceans around the world. From the sea to your door, we source the best catch from oceans around the world. We offer a wide variety of Wild-Caught fish and shellfish options. To help preserve the health of our oceans and fisheries, we partner with leading U.S. suppliers who follow responsible fishing practices to ensure sustainable fisheries for generations to come. We partner with industry-leading suppliers that utilize responsible fishing practices to ensure sustainable fisheries for generations to come. The Alaska Responsible Fisheries Management (RFM) certification is directly based on the world’s most comprehensive international guidelines for responsible fisheries practices. The Marine Stewardship Council (MSC) sets fisheries standards to help ensure sustainable fish stocks and minimize environmental impact. The Global Alliances Best Aquaculture Program (BAP) is a voluntary certification program for aquaculture facilities, which addresses environmental and social responsibility, animal welfare, food safety and traceability. Our seafood variety makes it easy to create delicious meal combinations. 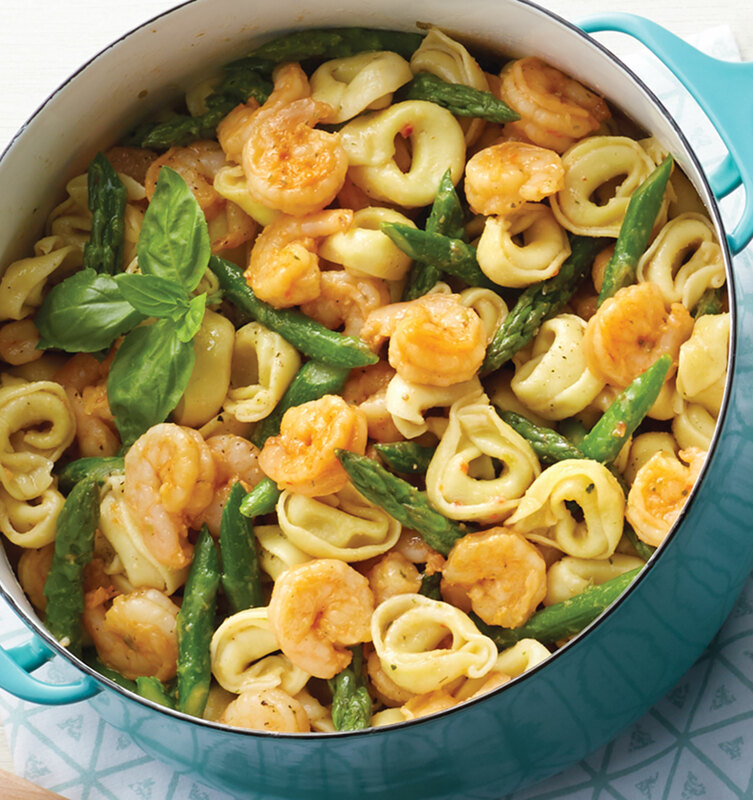 This one pot meal combines our Garlic Herb Shrimp, tender Asparagus Spears and Six Cheese Tortellini for a quick and easy weeknight meal. 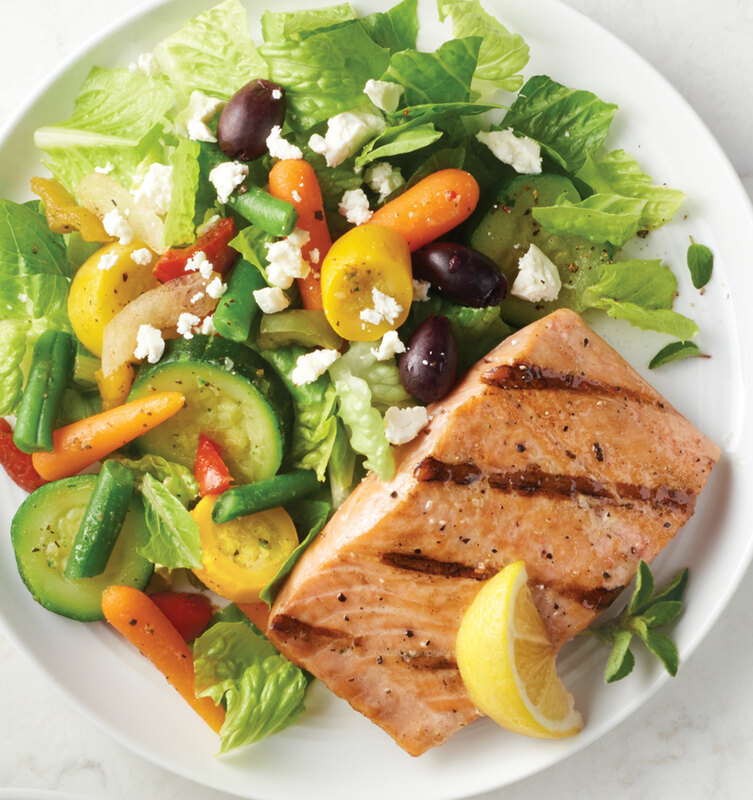 Pair our Signature™ Alaskan Salmon Fillets with a fresh garden salad. 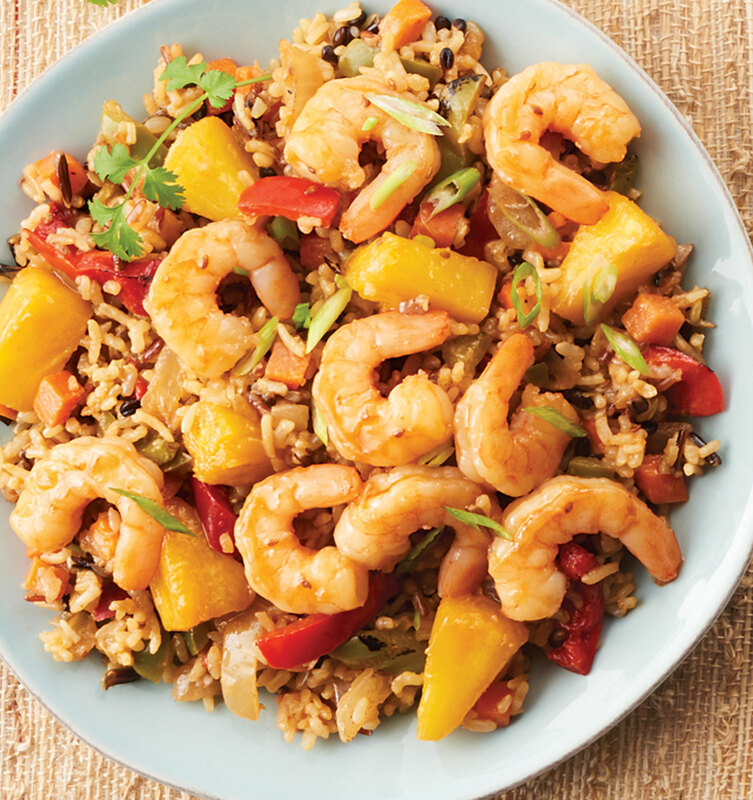 This sweet and tangy Asian flavored entrée starts with our Five-Grain Rice Pilaf and is topped with Pineapple Chunks, Roasted Peppers and Onions, and our Jumbo Cooked Shrimp. 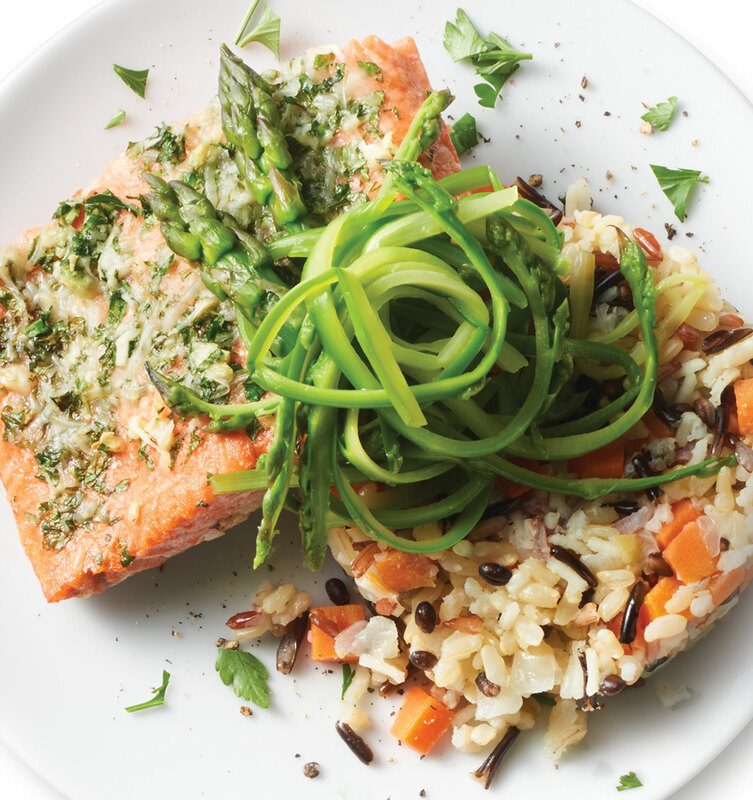 Season our Wild-Caught Alaskan Sockeye Salmon with fresh herbs and cheese and pair with our Five Grain Rice Pilaf.